Caries (decay that can affect your teeth) and gingivitis (a disease that causes inflamed gums) are both very real threats to the safety of your mouth. The symptoms can accrue over time if you aren’t careful and diligent with your oral hygiene. Here are a few points on how to avoid caries and gingivitis to keep your teeth healthy and your smile bright. It may seem like an obvious suggestion, but brushing your teeth twice daily using fluoride toothpaste combines several benefits together to help fight caries and gingivitis. Studies from both governmental organizations and professional associations show that twice daily brushing is optimal for reducing the risk of caries, gingival recession and periodontitis in comparison to brushing less. Other studies have demonstrated that the effects of over the counter fluoride paste prevented caries by 16% per tooth and 31% per surface in children and adolescents, compared to using a placebo or no tooth paste. As for the optimal amount of time to brush your teeth, findings were based on studying plaque indices. This data is culled from a surrogate measure rather than a direct measure of caries or gingivitis, which does lower the certainty of the suggestion being made. That being said, these systematic tests concluded that brushing for two minutes was associated with a larger reduction in plaque than brushing for a single minute. That’s equivalent to thirty seconds per quadrant in your mouth, or around four seconds for each tooth! We cannot stress enough how important cleaning between your teeth once a day is to your oral health, despite many people feeling ambivalent about it. Flossing, the most common form of interdental cleaning, is seen as ineffective or unnecessary by some people, which makes it harder for them to form the habit. The issue of flossing being a shorthand term for all interdental cleaning is that it leads patients to believe that it’s their only interdental cleaning option.Interdental brushes and water flossers are among other options that may be suitable for you to use. 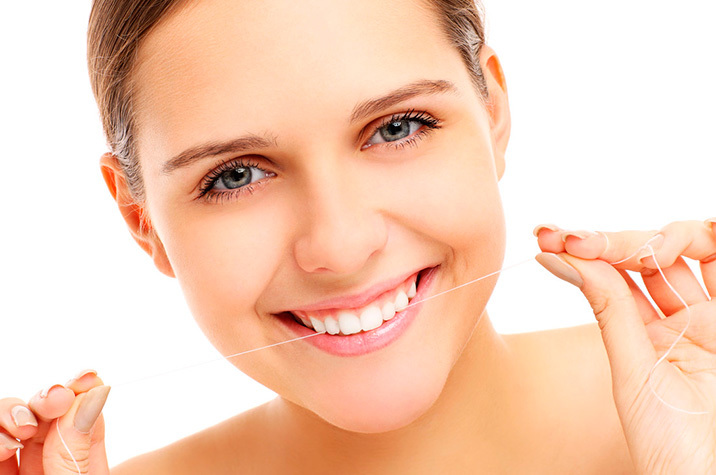 While flossing with traditional floss ribbon is a very effective method and is still the most common, there are some satisfactory alternatives. choosing one that is most pleasant to you will lead you to adopt the habit of cleaning between your teeth once a day, which is the most important part to continue doing. For more information on interdental cleaning, see our analysis and tips on the subject. We all know a healthy diet is key for overall health and well being, but there is little data to be found on the effects of micronutrients in relation to the risk of caries or gingivitis. Studies on the effects of macronutrients, however, show a correlation between the intake of sugar and a higher risk of caries. By lowering the amount of sugar you eat, you may substantially reduce your chances of developing caries. Finally, it’s important to build a recurring relationship with your dentist, based on your individual needs, to regularly prevent any dental problems from forming. At Willow Lake Dental, we work with you to take action to reduce the risks of contracting these problems in a comforting and nonjudgemental way. We can help you formulate and act upon a treatment plan for your specific dental situation, wether you just need a cleaning or require more significant work. Our goal is to provide the best quality care, to alleviate any pain, and to become the dental home for you and your family.